When thinking of the type of printer that you would expect to see in a busy office environment, the HP PageWide Pro 750dw is the style that will first come to mind. Comprising an input tray that can hold 550 sheets and the ability to print 55 pages per minute, it is designed to meet the needs of those who require a printer that can withstand extensive use. It has network, wireless and USB connectivity, which makes for a printer that can be operated in a number of different ways. 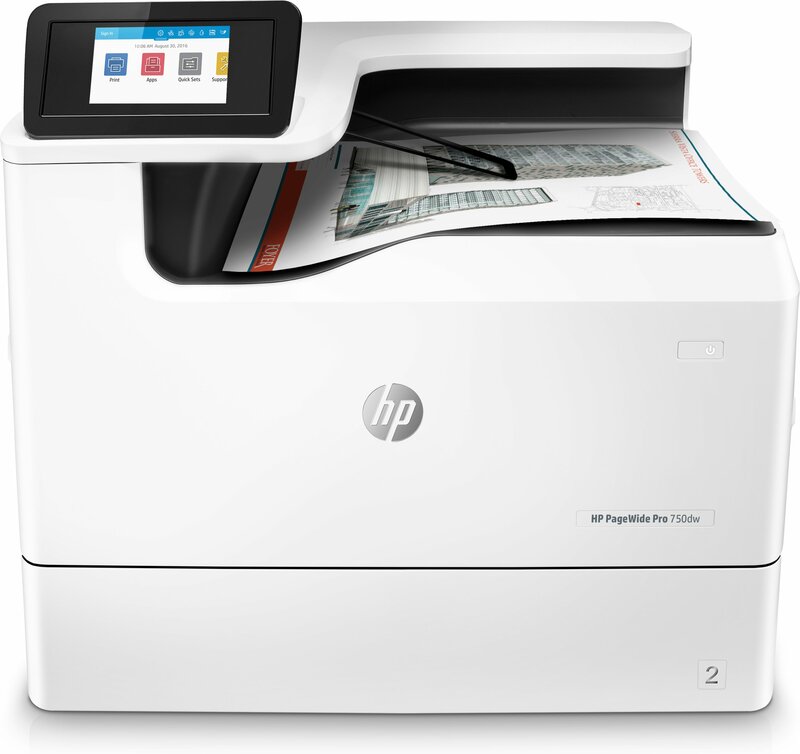 The HP PageWide Pro 750dw is a colour printer with dimensions of 23.5” x 20.9” x 17.9”. It is an inkjet with four cartridges: black, cyan, magenta and yellow. Weighing just over 50kg, the unit will require a sturdy location on which it can be permanently placed. The HP PageWide Pro 750dw is more of a heavy-duty printer when compared to other types of printer available on the market. This makes it suitable for commercial use, such as in a busy office. Due to its capacity, it does not require a lot of upkeep and can just be allowed to complete the task for which it was designed. Use of the HP PageWide Pro 750dw is a cost-effective way to obtain the printed documents and images needed as the cost is only £0.01 for black ink and £0.049 for colour. The size of the HP PageWide Pro 750dw will make it unsuitable for everyday use at home as it could be considered too big and heavy. It can only print four basic colours, including black, with each requiring a separate cartridge. While the black cartridge is capable of printing 6,000 pages, the colour ones can only print half as many.